This is our own seedling selection. 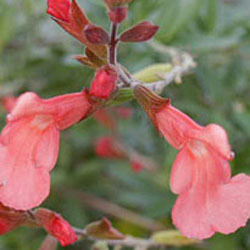 It has wonderfully warm, salmon-red flowers throughout the summer. Another favorite plant for hummingbirds.